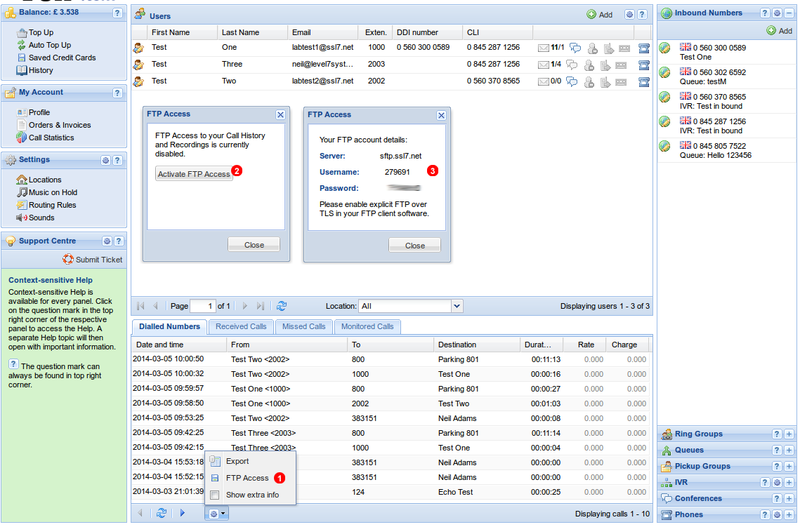 We have enabled FTP access to call recordings for all our customers. MP3 call recordings can be downloaded directly from our servers for batch processing or archiving. Customers can easily activate FTP access in call log setting sections as per screenshot attached. VoIPstudio allows flexible call recording configuration per each employee. Administrators are able to choose inbound, outbound or both direction of calls to be recorded. Recordings can be reviewed directly from online control panel or downloaded as an MP3 files.